Analytical & highly creative Business strategist with 2 DECADES of experience with a proven track record of Implementing new market entry strategy & P/L responsibilities. M Tech., B Tech. ( Chemical Tech ) from UDCT Mumbai. Advance Management Program from ISB, Hyderabad. 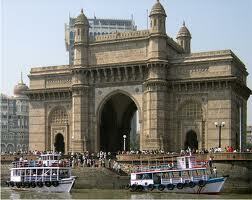 Degree in Industrial Engineering from IIIE, Mumbai. PG Dip. in Marketing Management from Univ.of Mumbai. Master's in Global Strategic Management. Currently working with a large US MNC. Earlier worked with Degussa, Ranbaxy, Atul. Total yrs of Exp approx 20+ Yrs.